When was the last time that the destination took your breath away? 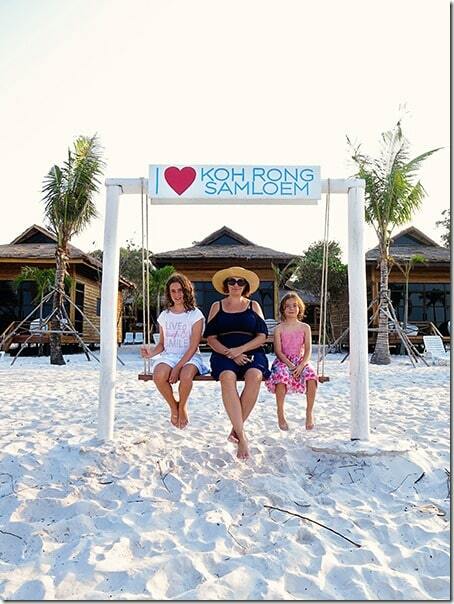 To us Koh Rong Samloem Island did just that! 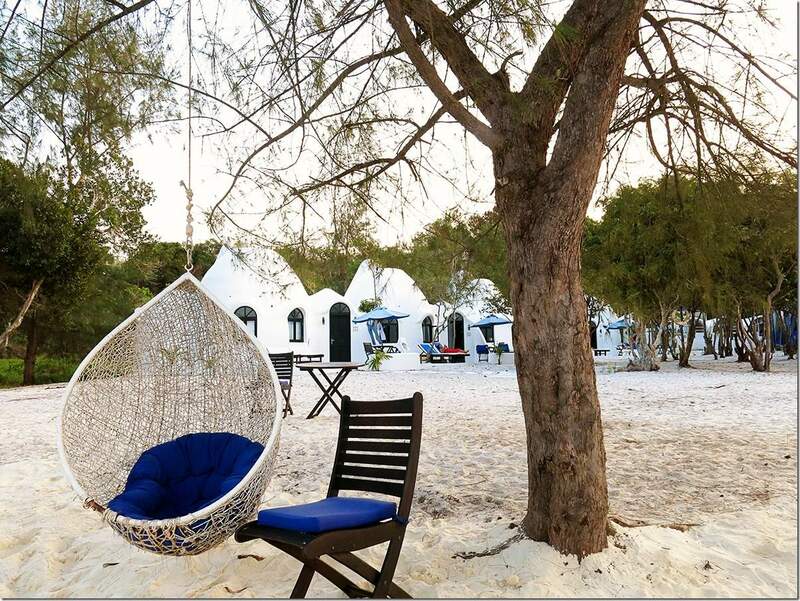 I loved this place so much, that my iphone screen still shows the picture of us lazing around in the hammocks that are tied to the posts in the shallow water of the Saracen Bay Beach. One look at that picture every day and my heart springs up to life. Memories like that come around so far in between, that one have to wonder; why we don’t do it more often? Well, why do you think we are doing what we are doing with our blog. 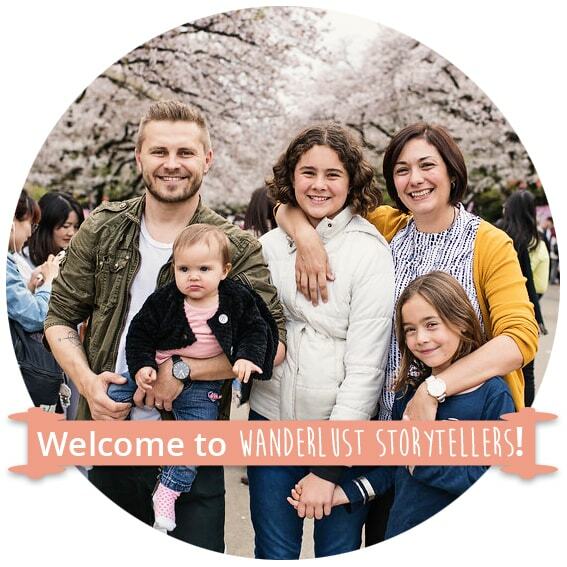 For the love of travel, for the love of storytelling and for the love of our family. 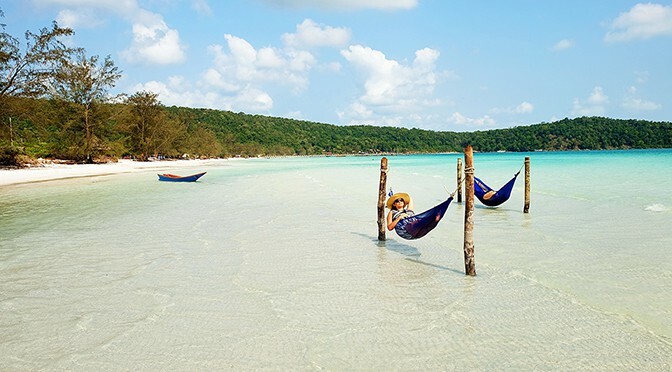 When you venture out to Cambodia, Koh Rong Samloem island must be on your list of your destinations to see. 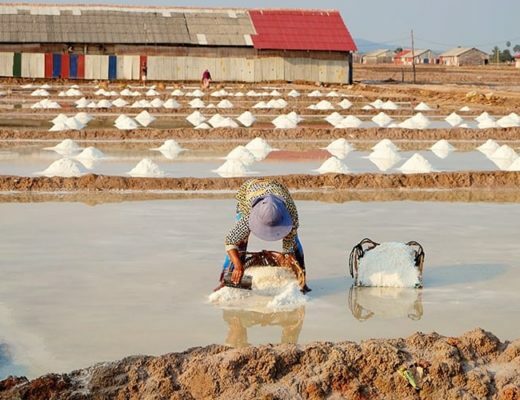 There is just no other place in Cambodia like this! Little tip – Check out where we stayed on the island here. 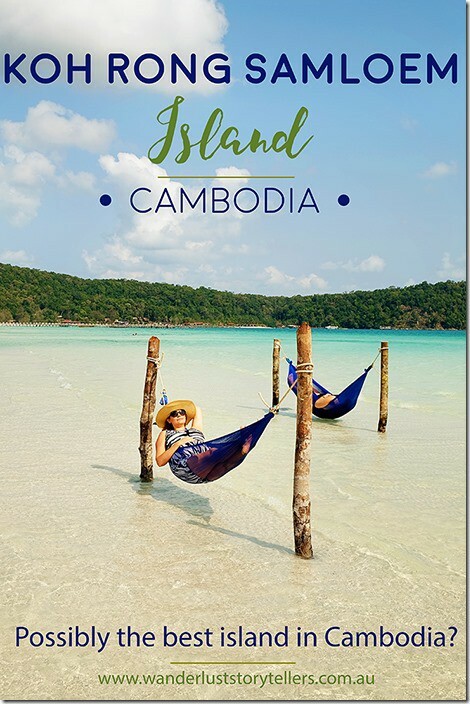 Ok, let me take you on a visual adventure in order to show you why Koh Rong Samloem island is such a special place to visit! I am sure that you will be able to see yourself there quite easily! Go ahead an pin some of those pics to your library for your bucket list. 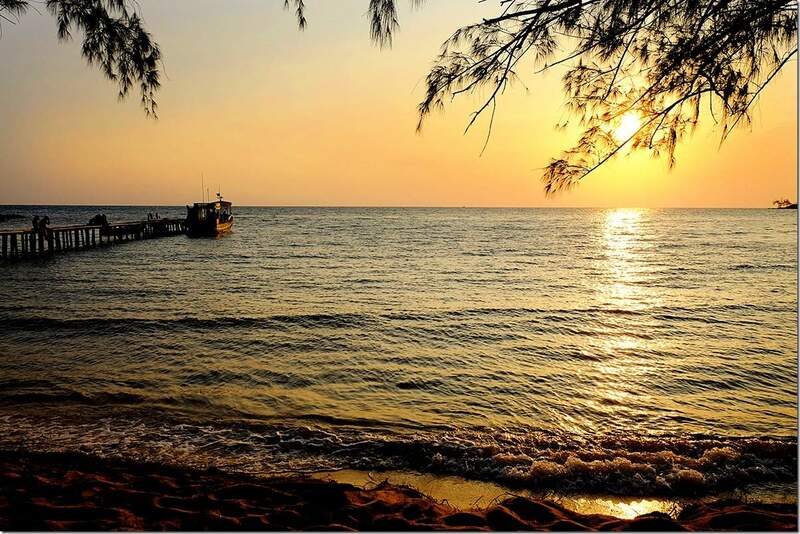 We arrived to the Sihanoukville pier a little earlier than before our transfer to the island. We were greeted by our Sol Beach Resort representative, from the resort that we stayed at on the island. 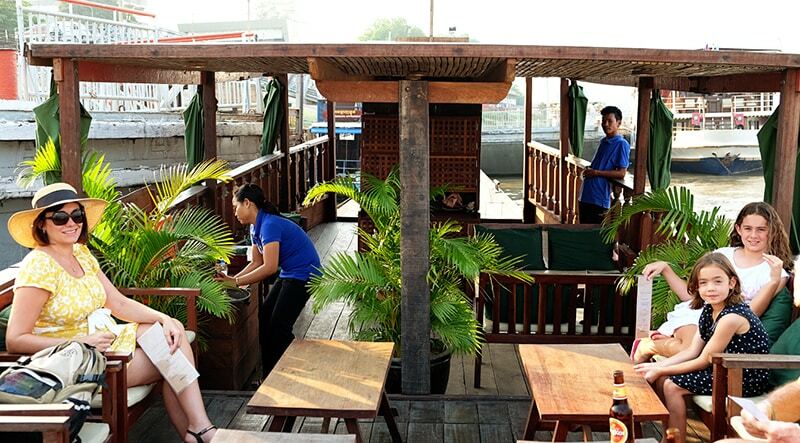 Just beside the jetty, there is a restaurant where all the people were relaxing before going on boats to different destinations. 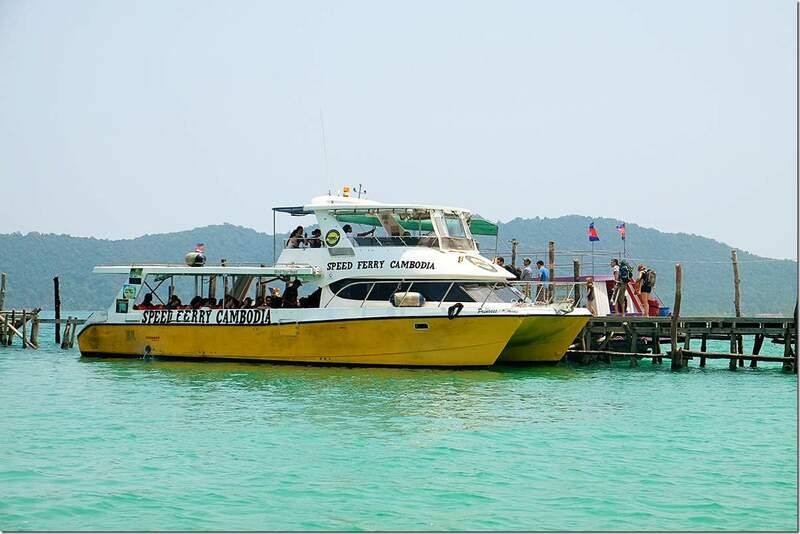 Our Koh Rong Samloem Island ferry arrived and we were off. Yes it did take us a little longer to get to the boat as we were with Lily and Katie-Lee, together with all the luggage, but it was all good. Even though all the backpackers jumped on the ferry first, there was still plenty of seats to sit on. Little tip; make sure to sit in the middle rows if you are travelling on the open side boat, as you may get a fair bit of over-spray from the sea. Lots of people shuffled away from the side seats very quickly. The trip itself took about half an hour and we got to a jetty at the Koh Rong Samloem Island. Our private long boat, resort pick up, was already there waiting for us. We had smiles from ear to ear staring out towards the beautiful island and the Saracen Bay. We knew we are going to have a great time here! What can I say, I think the pictures speak a thousand words. When our boat pulled up in front of the beach front villas at Sol Beach Resort I could not believe that we are going to stay in this piece of paradise for a couple of nights. 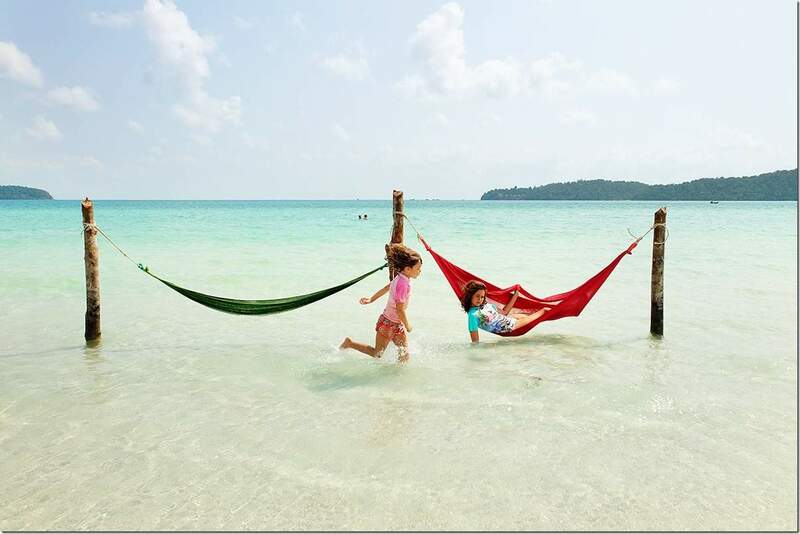 Saracen Bay is simply perfect! Here you will find heaps of other unique resorts scattered on the beach. Some of them with quite interesting bungalows, like this one. Water was crystal clear, warm and very inviting to just lay down in and chill out. The shallow water stretches for miles, so when the boat anchored we still had to walk probably 20metres in the water. So cool! Now that I think about it, I don’t think that I went for a walk out into the see to check just how far you can actually walk. At the time, I think it was really irrelevant. The relaxation, peace and tranquility was on our minds. 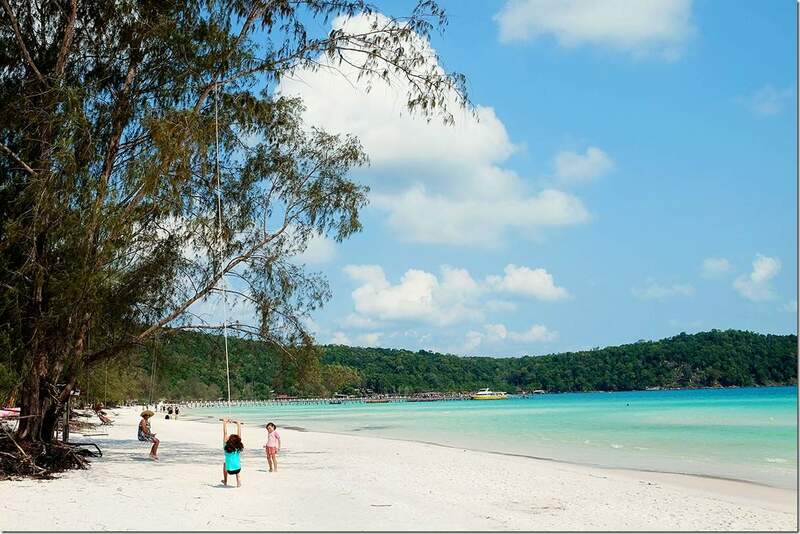 The beautiful beach of the Saracen Bay gently curves encompassing the pristine scenery and calm water of the bay. White sandy beaches stretch as far as the eye can see. Numerous resorts, large and small backpackers huts and many many more accommodation options all with beach front views are here for you to pick from. Don’t worry, the beach is large enough and you will not feel claustrophobic here. 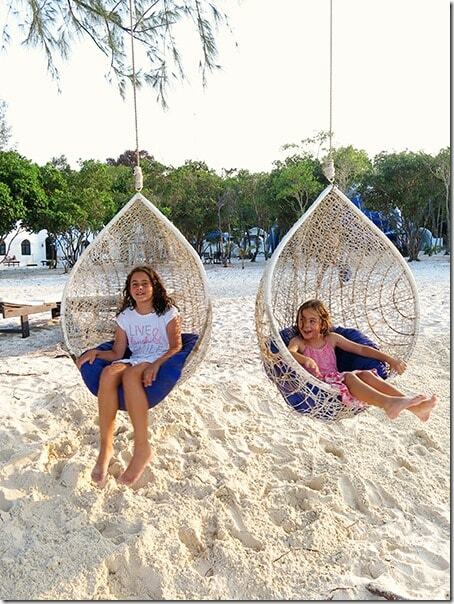 There is heaps of beach space for everyone, each resort with its own stretch of white sand. We walked up and down the beach a few times with our kids and I think you will love it too. A lot of the places have swings hanging off the trees facing the bay. Yes, they are dedicated to the particular hotel or resort, but I don’t think the people really mind if you spend a few minutes enjoying the swing and the beautiful, panoramic scenery. Our kids simply could not get enough of the swinging around. 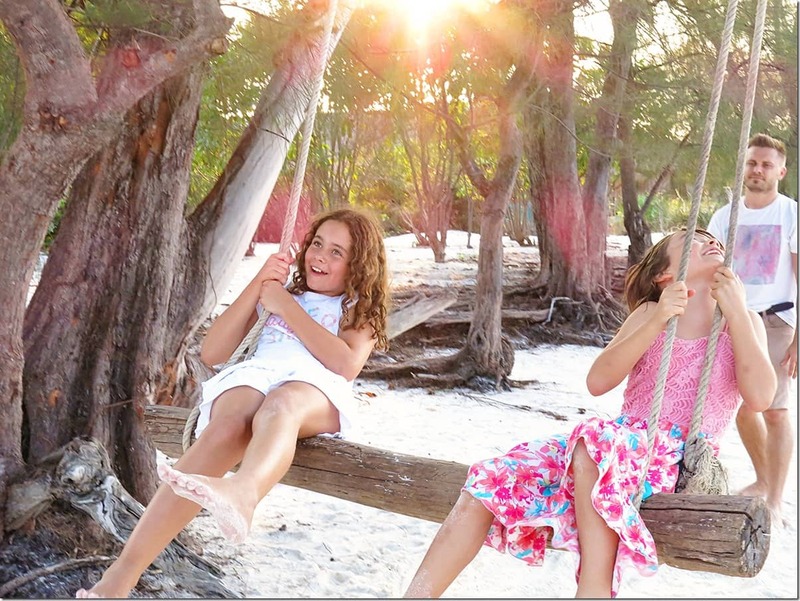 As we walked holding hands and toes leaving footprints behind us, Lily and Katie-Lee were sprinting from swing to swing to make sure they would have more time swinging around. Smiles and squeals all around, and “Daddy, Daddy, push us, push us!”. Haha… I love being a Dad. There is something for everyone here and I think for me and my gorgeous wife it was the hammocks. Yup, whoever invented the hammock was a genius! And, whoever thought of putting them on the beach and especially in the shallow water, was a double genius! There is simply nothing more relaxing in the world! Well, at least for me. Give me a hammock and you have made me a happier man, I say. 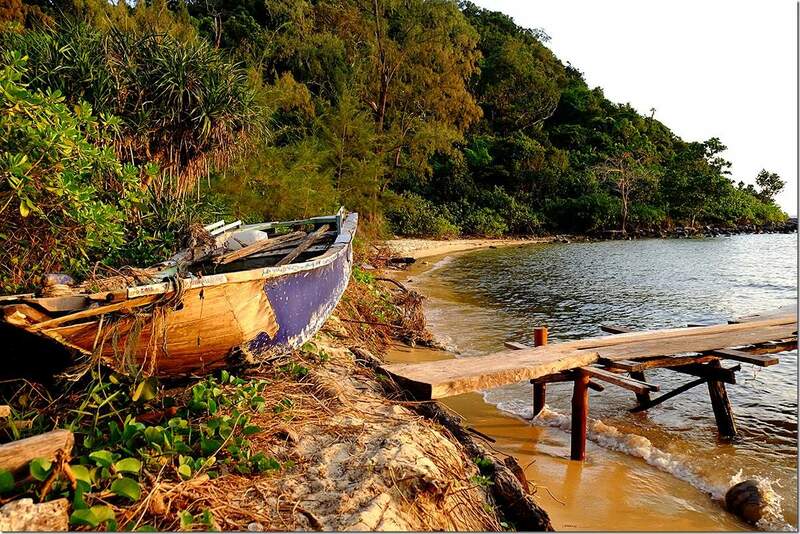 Apart from the super beautiful and amazing Saracen Bay beach, there is a hidden gem on the other side of this island. 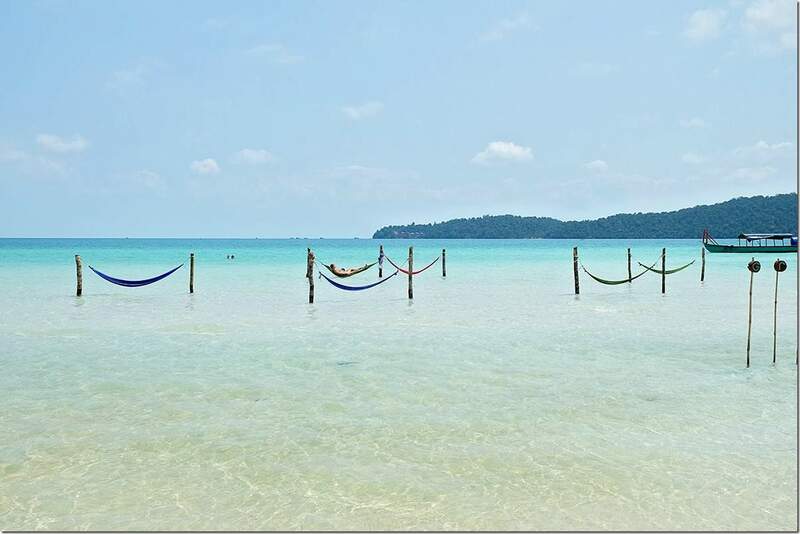 It is called Lazy Beach Koh Rong Samloem. We were told to make our way to the Lazy Beach for a sunset and I’m glad we did. About half way down the Saracen beach, not too far past the boat jetty there is a sandy pathway to the other side of the island. There is a sign, just behind one of the beach bars (that I cannot remember the name of) but it is easy to find. Make sure to take a flash light for your trip across. It will be nice and bright on the way there, but pitch black on the way back. Walking shoes probably would be a good idea as well, haha… Yes, me and Katie-Lee, we both kicked our toes on the tree roots sticking out from the ground. Ouch! 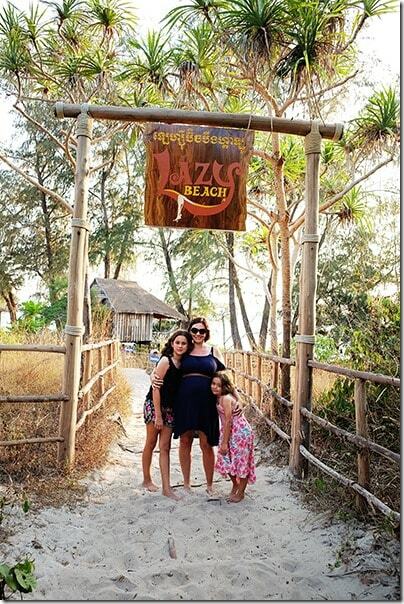 When you get to Lazy Beach, it is a peaceful piece of paradise. Small beach, one restaurant and a bar and only a few Lazy Beach accommodation options here. This one is definitely for those travellers that would prefer to be a bit more secluded from people. 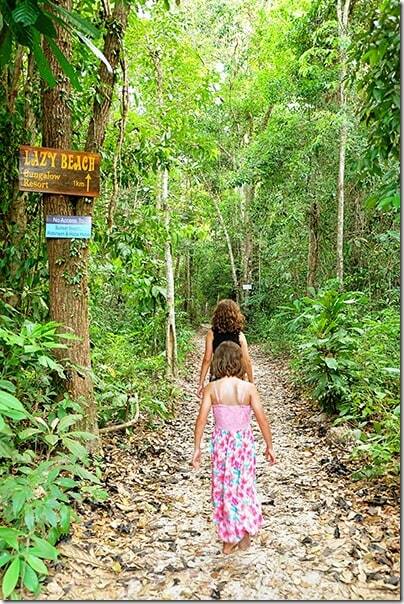 Some say, that they felt like Robinson Crusoe when they stayed here. The sunset was quite spectacular. When the sun and the sky went red, it seemed that everyone suddenly stopped whatever they were doing and paused their life for a moment. A few dozen spectators, both from the beach and the restaurant, were all enchanted in some kind of trance. I know I was. 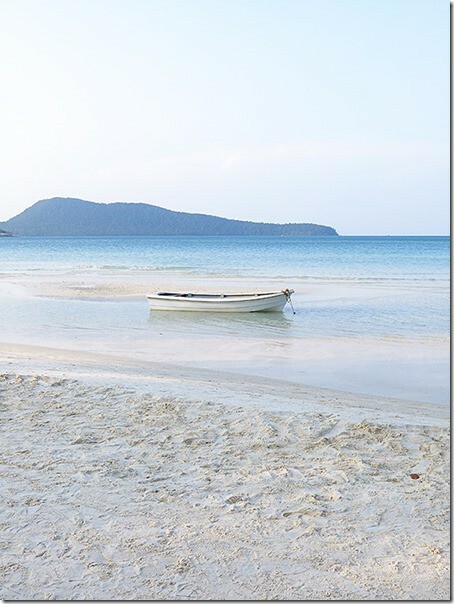 Well, just caught myself starring at those photos again and reminiscing the good times we had at Koh Rong Samloem Island. I loved it so much, that I will cherish those memories forever! I hope that you will make those there too! 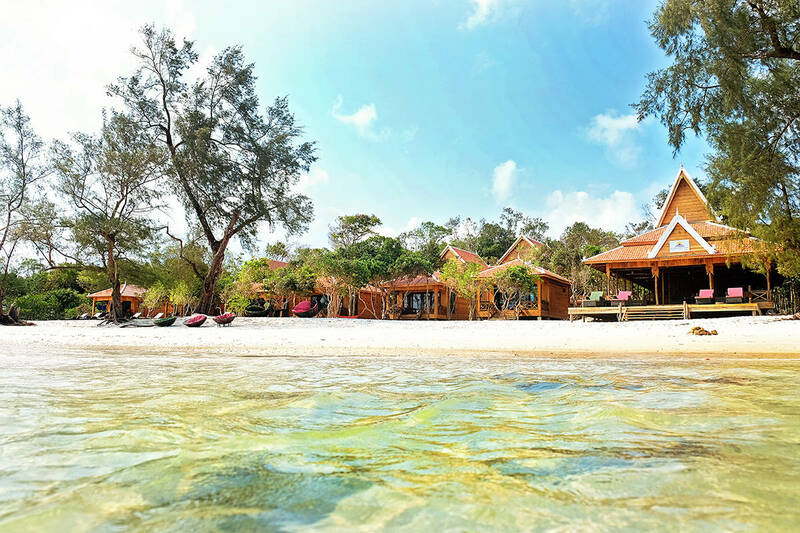 Which side of the Koh Rong Samloem Island would you rather stay on? 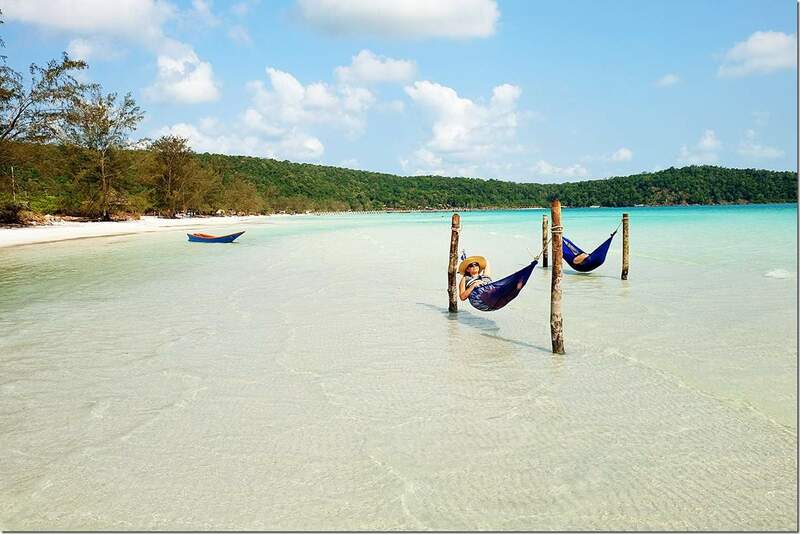 Blissful Relaxation on Koh Tonsay (Rabbit Island) in Cambodia. More stories in Cambodia click here. 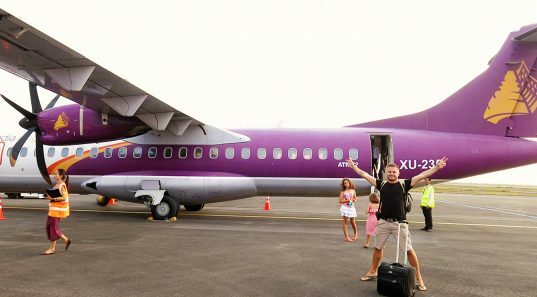 We absolutely loved the experience and the romance of this beautiful island. So untouched in many ways and so extraordinary. 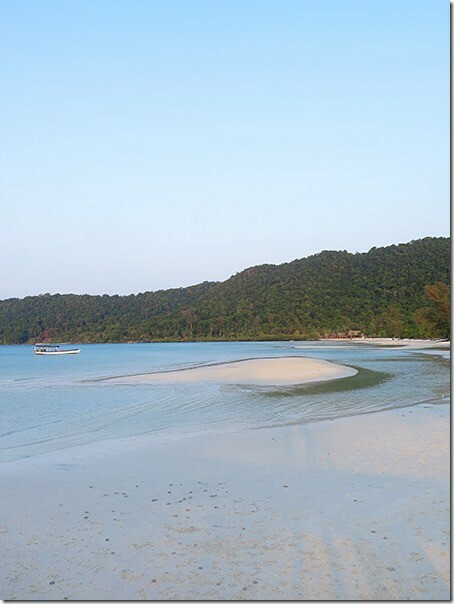 Say no more, Koh Rong Samloem Island will stay in my memory forever, as one of the most beautiful places I have been to! Would you recommend a particular resort on Saracem Bay? Hi!! 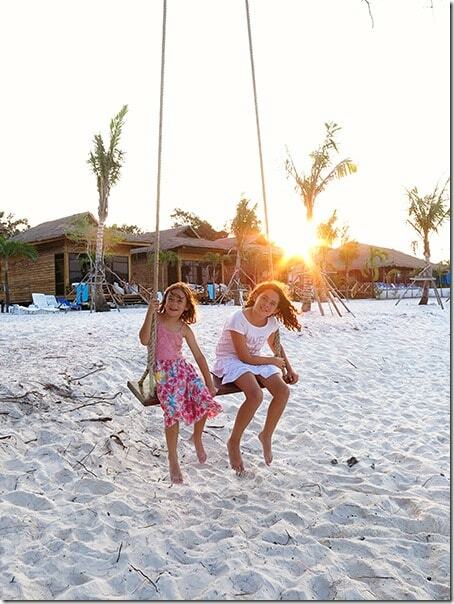 Yes, we stayed at Sol Beach Resort and LOVED it!! 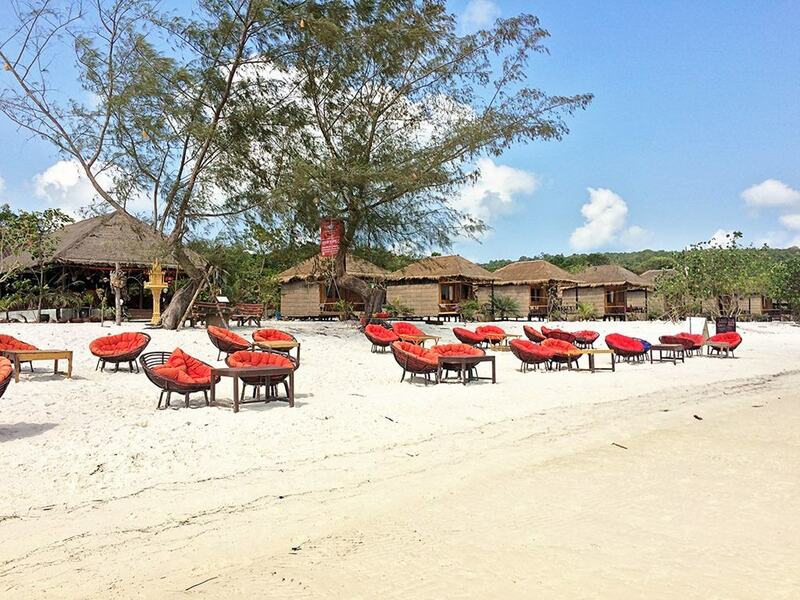 You can see our pictures and read our review here – https://www.wanderluststorytellers.com/koh-rong-samloem-sol-beach-resort/! 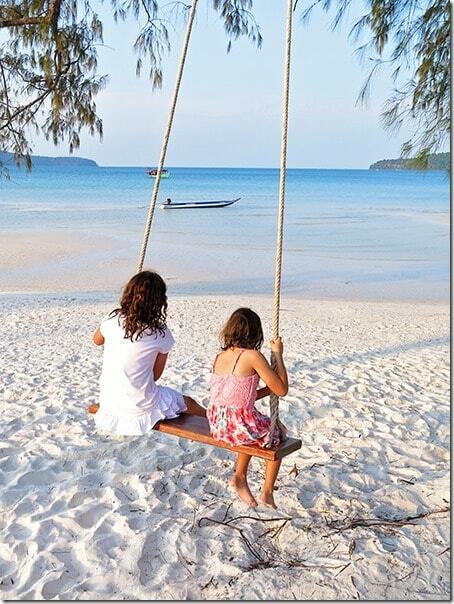 Do you think it’s worth visiting Koh Rong as well as Koh Rong Sanloem? We have 3 days to spare in November and don’t know how to split them across the two islands!